Social club for H & W football team. Have you got Google Earth on your computer? If so, then download the Google Earth view of H & W Welders FSC. Is this the wrong position for H & W Welders FSC? If you think so, then modify its position. Click / Tap the button above to get directions from where you are to H & W Welders FSC. The welders is not only one of the biggest and best run clubs in Ireland its friendly staff and relaxing atmosphere makes a night out with friends and family great craic. 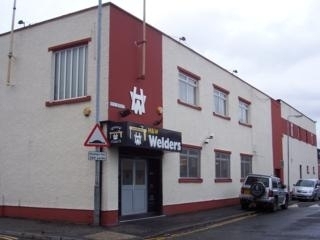 Welders is a great club well run. committee act as a firewall to make sure the customers can enjoy themselves in a friendly enviornment. Live music Thurs. nite, Fri. afternoon and night, Sat. afternoon. Sat. nite top group upstairs, two piece downstairs. live caberet and dancing upstairs Sunday afternoon. Live sports on 4 big screens. great food every day. Club prices.